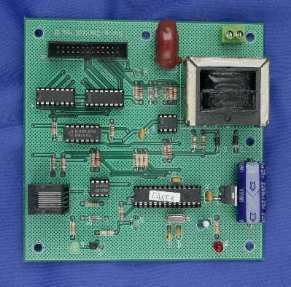 Digital hardware and microprocessors solutions for many application, as well as more general digital designs such as memories, interfaces, controllers, signal drivers etc. 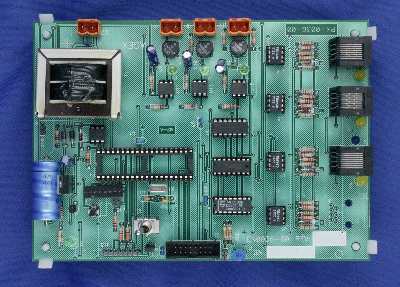 Microprocessor unit with isolated network interface, as well as line voltage power factor measurment system and 16 channel triac driver system. Power supplies of both linear and switching modes, as well as power controllers, drivers and related circuits. The lab includes soldering tools and inspection microscopes for working SMT assemblies. We have a small model shop with tools for working with metal, plastic and wood to permit fabrication of prototype components. .
A view of the electronics lab. Located in the middle of the Ontario Golden Triangle.